When eating out, don’t forget to “Dinesafe it”. 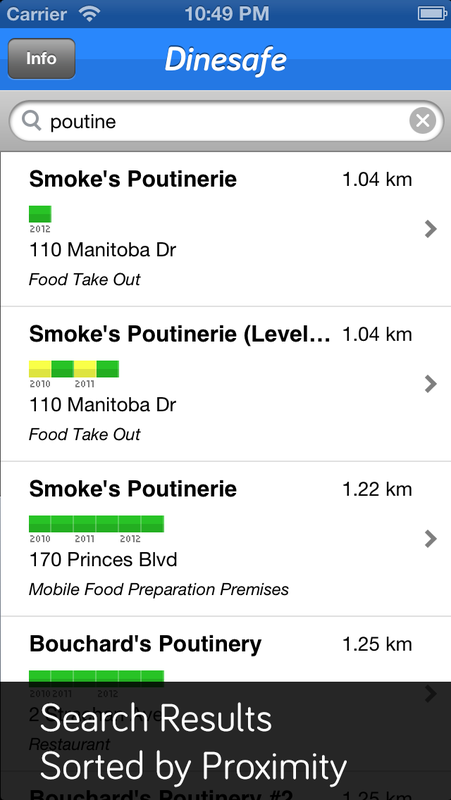 View restaurant health inspections on the go. 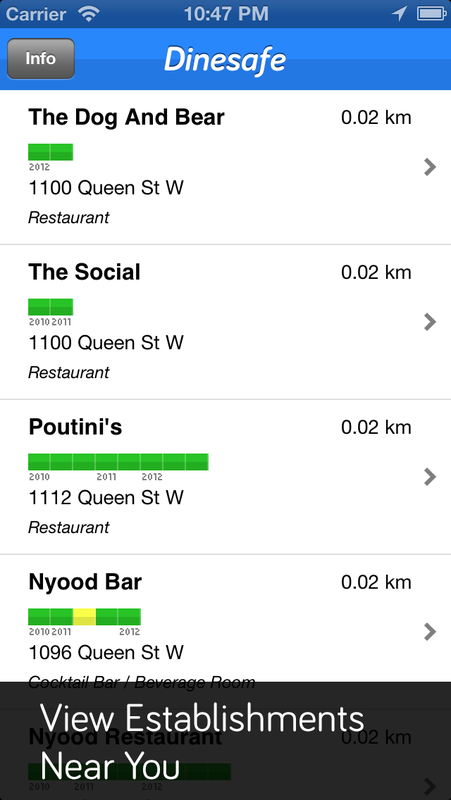 Browse nearby establishments, or search for your faves. View inspection history up to 5 years. 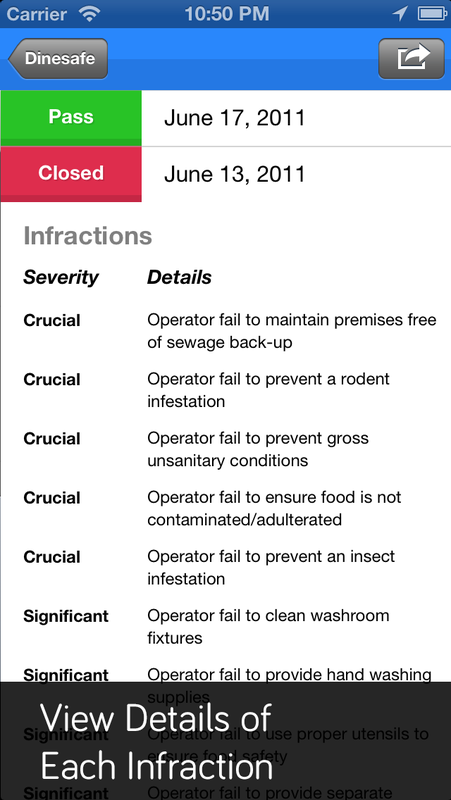 Get a quick colour-coded overview of the inspection history of each establishment as you browse! 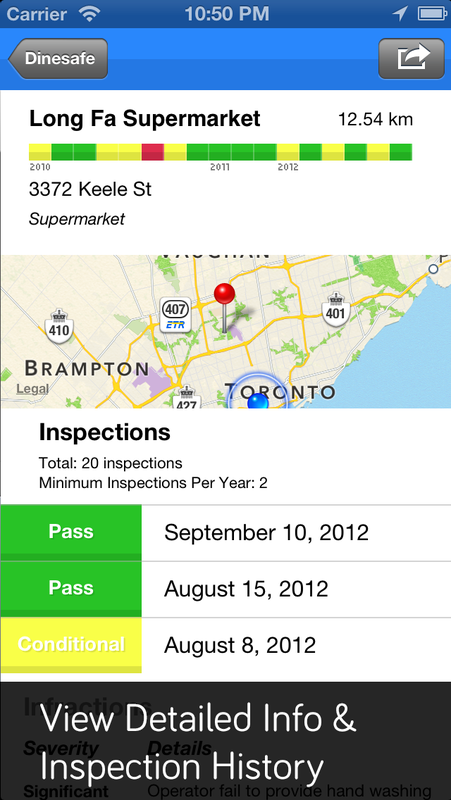 View inspection history as far back as 2010 for some establishments. Data is updated biweekly. 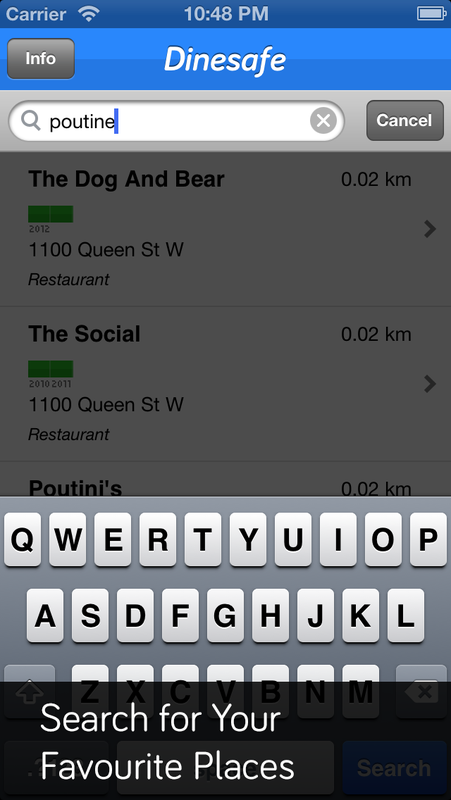 Search and browse results are sorted by proximity, so you can see what's nearby.